Discover the new energy revolution of shale gas fracking. Shale gas fracking is an innovative way to retrieve deposits of gas that are trapped in the layers of earth in many areas around the world. Gas can be reclaimed in places where it never could have been drawn from before. 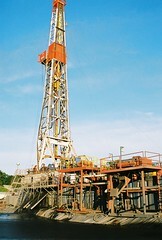 Shale gas fracking has seen opposition due to the fact that gas may in a very few cases get into an area’s groundwater. In addition, minor earthquakes have been felt in two areas where fracking occurs, and these areas did not have a seismic history prior to that. The last major concern is the leaking of methane gas into our atmosphere, which could add to global warming issues. Europe has not been as readily adaptive to this method of mining as has the United States. In particular, Bulgaria and France have shown steadfast resistance. There are issues because of the lobbying by the nuclear power industry, as well as by green issue campaigners. They are worried about the cumulative effects of fracking on the environment. What is happening with Shale Gas Fracking in the UK? Britain experienced its own fear ripple when earth tremors were set off by fracking in the northwest part of the country. Industry experts say it’s not a major worry, although it is troubling to residents of the area affected. Fracking has been in use in drilling conventional wells for more than 50 years. The tremors in Blackpool, UK and one in the United States are the only recorded seismic activity linked to fracking. A great deal of water is needed to work with frack wells, where locals fear that their groundwater may be polluted. Britain looks to the United States for safety in this area, since there have been more than 20,000 fracking wells in the last ten years with only a very few issues with the contamination of groundwater. The fracking is done below an area’s water table, and deep rocks usually separate groundwater from fracking zones. Shale wells do use high amounts of water for their operation, some of them near 22m litres over the course of their lives. Actually, though, a single golf course in a hot area uses the same amount in about three weeks’ time. Most water in a fracking well stays within it, but about 20% will return to the earth’s surface. This is known as flow-back, and it must be stored safely and then disposed of, or safely recycled. As far as water consumption is concerned, the extraction of shale gas actually uses less than some other energy sources. What is a Fracking Earthquake?